This week's selection is Adult Life Skills. Rachel Tunnard's feature debut, Adult Life Skills, showcases an impressive performance from Doctor Who star Jodie Whittaker. 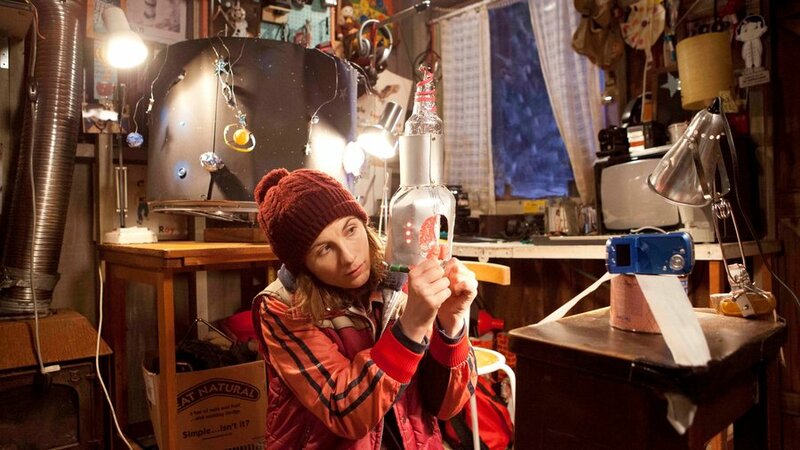 In watching Jodie Whittaker's performance in Adult Life Skills, one starts to understand why she was chosen for Doctor Who. To put it so simply, the actress is remarkable. Not only was the role written for Whittaker but she was pregnant during the entire production. When it comes to indie films, there are not many options in this situation. Rather than delay or recast, writer-director Rachel Tunnard pushed through before Whittaker started to show. To their credit, it's a solid performance. What is surprising is that the film is coming out some three years following the world premiere at the 2016 Tribeca Film Festival. The 96-minute film premiered in the Viewpoints program and was awarded the Nora Ephron Prize by jury members Rachael Leigh Cook, Judy Greer, and Mary Stuart Masterson. In any event, it's a well-written script from Rachel Tunnard. She bases quite a bit of the film on her own experiences. When one is writing a film with friends in mind, it's always best to play to their talents. This is exactly what Tunnard does as her script takes full advantage of the real-life friendship between Whittaker and Rachael Deering.